In July, StatsCan sketched out the new powers it wants (below). With legislation expected in the fall. Statistics Canada is privately floating the idea of new powers that would make all of its surveys mandatory by default and force certain companies to hand over requested data, such as credit card transactions and Internet search records. Currently, the agency can ask for any information held by governments and businesses, but officials have long found it hard to get information like point-of-sale transactions that could give a more detailed and accurate picture of household spending. Corporate fines would depend on a company’s size and the length of any delays. The changes would also do away with the threat of jail time for anyone who refuses to fill out a mandatory survey, such as the long-form census. The recommendations, contained in a discussion paper Statistics Canada provided to The Canadian Press, would enshrine in law the agency’s independence in deciding what data it needs and how to collect it. New legislation to update the Statistics Act is expected to be tabled this fall, and the Liberals have promised to give Statistics Canada more freedom from government influence. 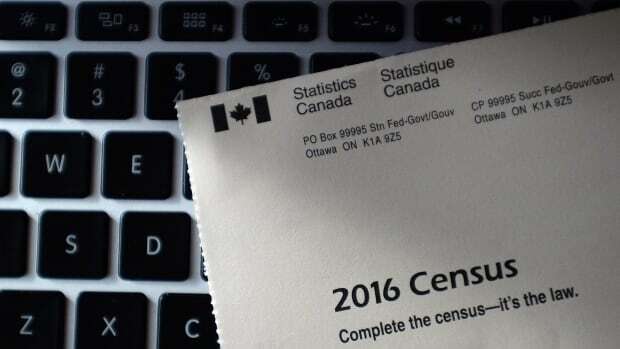 The current law permits the federal government to make unilateral changes — eliminating longitudinal studies about the Canadian population, for instance, or making the long-form census a voluntary survey, a Statcan spokesperson said. Should the federal Liberals agree to the agency’s proposals, it would build a political wall between the government and Statistics Canada and ensure statistical decisions by the chief statistician take priority over political considerations. “For a national statistical office to be credible, there must be a high degree of professional independence,” Bains said in a written statement. The agency delivered the paper earlier this year to the National Statistics Council, a body of outside experts that acts as an advisory board for the chief statistician. In the paper, Statistics Canada argues for a new, modern framework that would better mesh with the Liberal government’s priority on evidence-based decision making, while counteracting mounting concern about declining response rates and diminished data quality. “I don’t see any negative in it,” said Susan McDaniel, a long-time statistics council member. There is also increasing demand from governments, businesses and researchers for micro-level data that Statistics Canada says it can’t publish in some cases because of outdated confidentiality rules. The paper also says the agency isn’t legally able to analyze “increasingly pressing” environmental issues. The paper also makes the case for Statistics Canada to have control over its computer systems instead of relying on the government’s central IT department, known as Shared Services Canada. Shared Services “impedes the agency’s ability to deliver its program,” the paper says, because “for all intents and purposes” the central IT department “has an effective veto” on IT spending needed for any program or initiative. The agency argues that it should not be under the Shared Services umbrella, and should instead receive one-time funding to pay for data centre updates that Shared Services opted not to invest in.